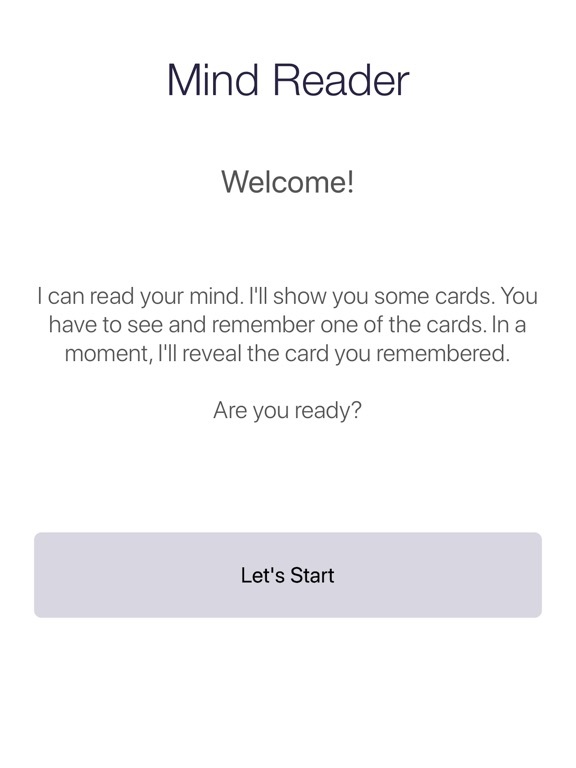 Disclaimer: This app is intended for entertainment purposes only and does not provide true mind reading functionality. 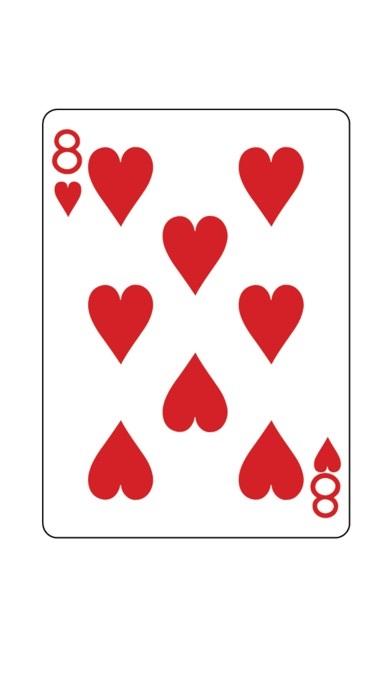 A bunch of playing cards from the deck will be shown to you. 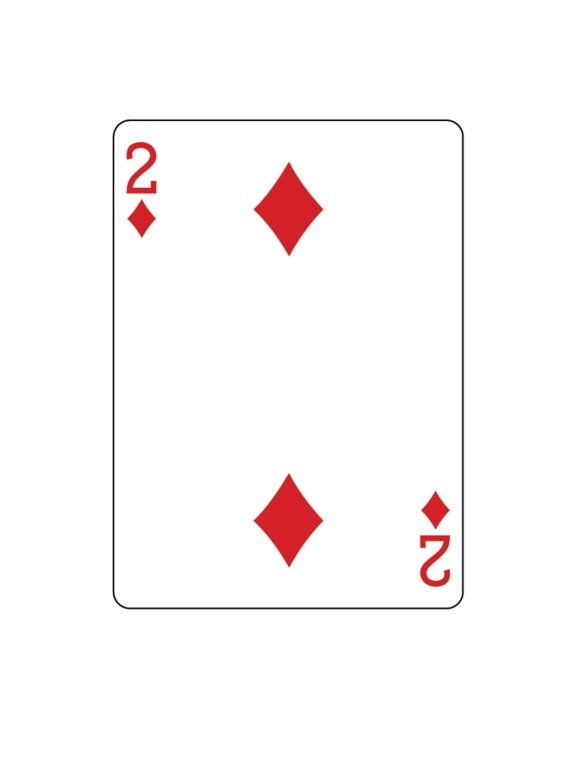 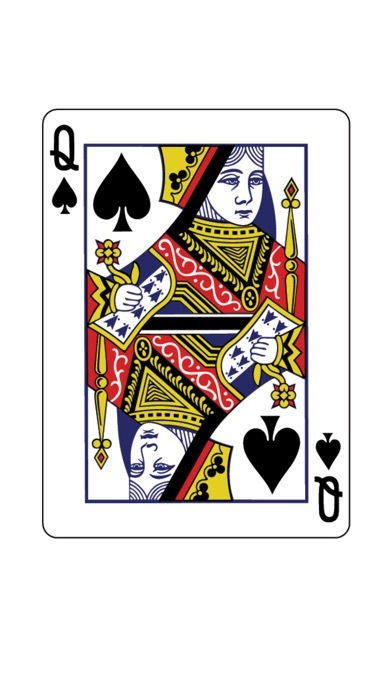 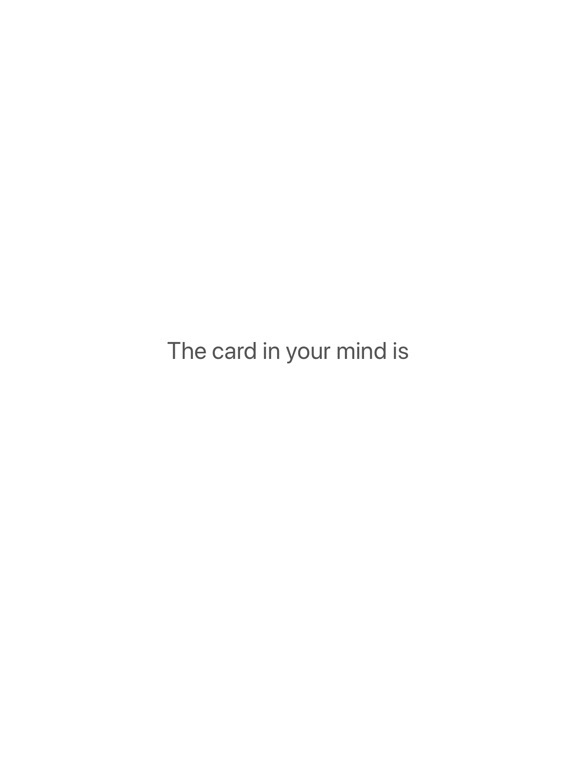 You have to select a card in your mind as the deck is quickly riffled through. 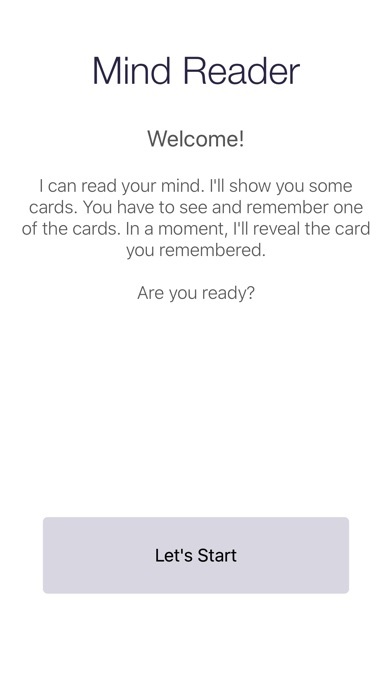 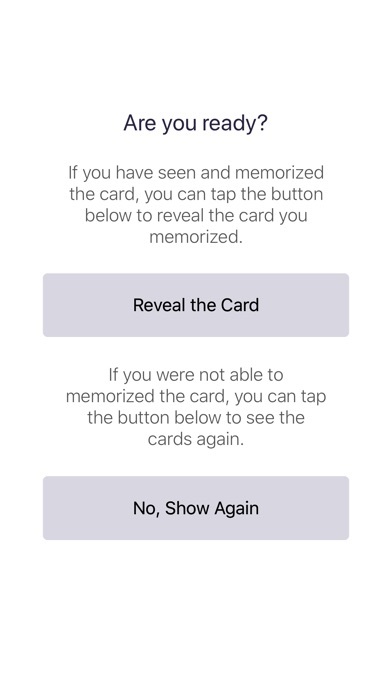 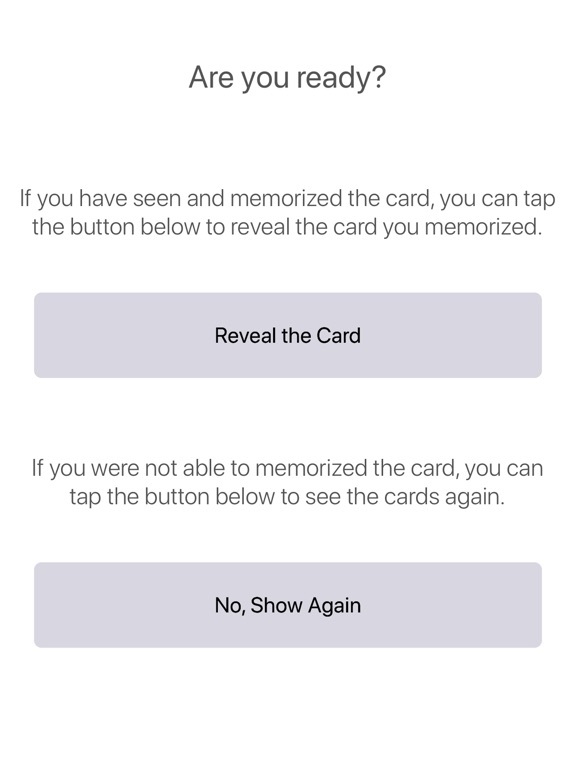 In a moment, this app will reveal the card in your mind like magic! 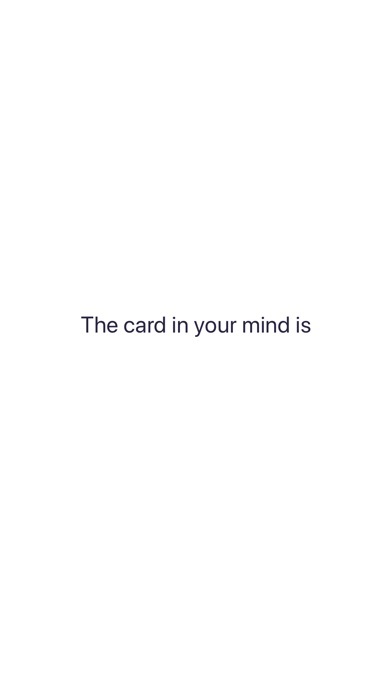 It is pure illusion and you can make out the trick after you use it a few times. 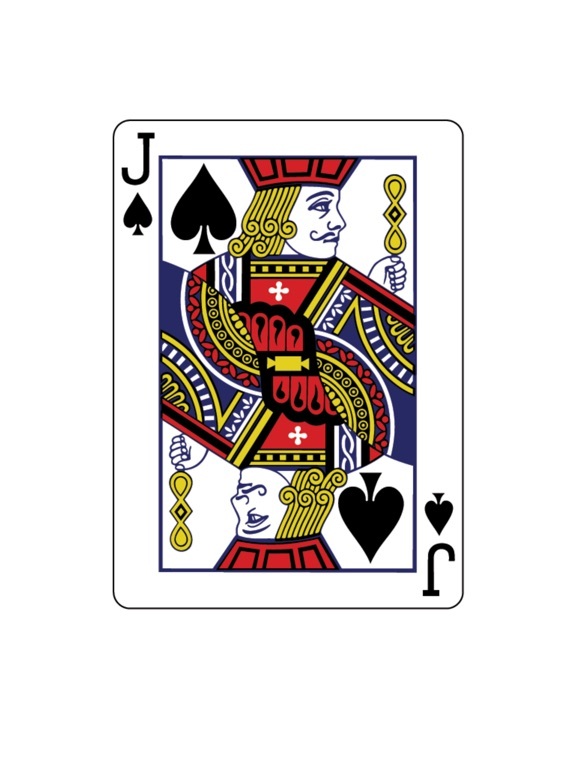 But this is a great app if you want to impress your friends.